Registered in states: KY, IN, FL. 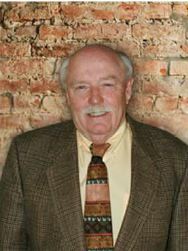 Bob, the President of TBD+, was Co-Founder of the firm in 1972. He has served on the Jefferson County Board of Appeals for Building Code Enforcement and is a past member of the Jefferson County Historical Commission. Bob has been Principal-in-Charge of a wide range of projects, most notably the LG&E Office Tower and the Villages of Park DuValle. He is the recipient of local and national design awards including the American Institute of Architects National Honor Award for Regional and Urban Design for the Villages of Park DuValle.